With so many different “as a service” abbreviations floating around, its really easy to get lost. UCaaS is probably one of the most seen in the Business VoIP sector, but then there are also other terms like CPaaS that add to the confusion. The basic concept isn’t too difficult to grasp: UCaaS is just Unified Communications as a Service. But to truly understand what this means, and why your business should be aware of the nuance whether you plan to switch to UCaaS or not, we wanted to take a close look at the foundation of cloud computing, and the different “as a service” terms that are out there. Of course, have to start at the beginning and lay out the foundation for which UCaaS and CPaaS are built on top of — because in reality, these are just subdivisions of other service abbreviations. So getting right to it, there’s about three main abbreviations you’ll find floating around: IaaS, SaaS and PaaS. 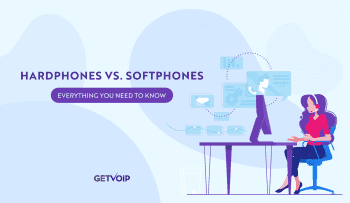 from this basic graphic, you can gain a rough idea, but keep reading for further explanations and examples to help wrap your head around all of this technical jargon — after all, we know just how confusing VoIP jargon can be. SaaS directly refers to the software that your business is using just about everyday. SaaS is of course a form of cloud computing, which allows for increase flexibility by relying on a third-party vendor to host and maintain the service — in this case, that service is that software. Since the software is hosted by a provider, your business does not need to install and run applications on their own computers, or host their own servers in expensive data centers, yet still gains access to these powerful tools. Right off the bat, a great example to help many understand what SaaS is would be Microsoft’s Office 365 — your business doesn’t need to install Office on every single computer, they can just log in to the service and gain access to all the Office tools and software. This of course also brings flexibility as I mentioned above, but more specifically within the payments, as SaaS generally utilizes a pay-as-you-go pricing methodology. SaaS also allows for easy, automatic updates to be pushed out by the provider, greater accessibility to the software, and expansion with API powered integrations. Just like our other abbreviations, PaaS is, as you guessed it: a form of cloud computing that is utilized to deliver applications to your computer over the internet. But, unlike SaaS which delivers specific apps and programs, Platform as a Service is a bit closer related to IaaS. So, while IaaS is delivering the infrastructure, like servers and management tools, PaaS is what delivers the entire platform for users to build and develop their own applications. PaaS providers host the hardware and software, generally including databases, specific programming languages, or application services. PaaS is really meant for software and web developers to build their own applications within, and businesses can use the platforms to develop software to be used internally. 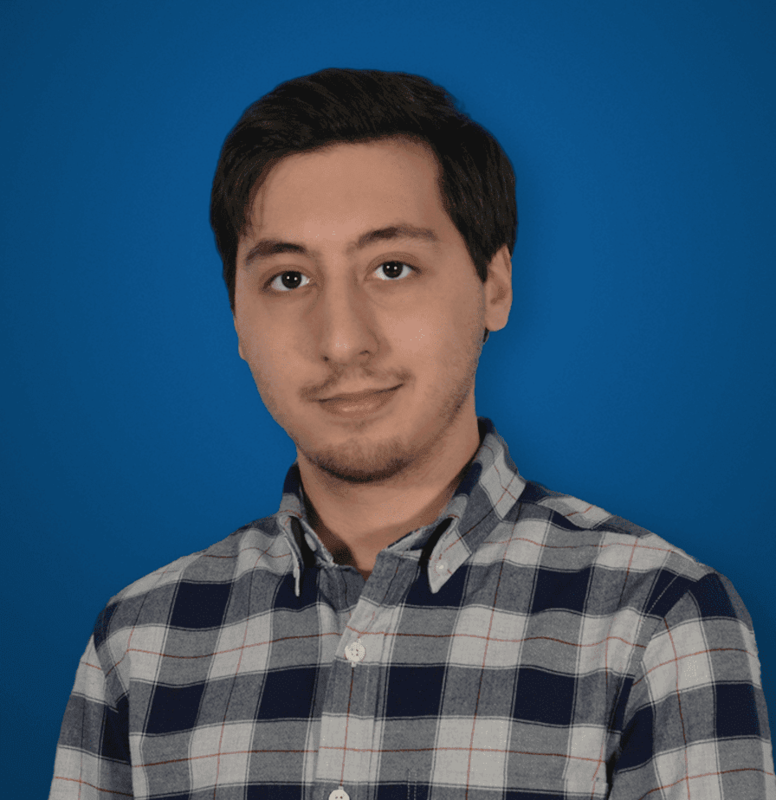 Just like the others, PaaS is charged on a pay-per-use basis, and generally allows for intense management of the services, and applications that are being built. The main benefit is that developers don’t have to construct their own physical servers or infrastructure, they can simply rent “virtual” servers on which to host websites and applications. Everything is also accessed through a web browser, allowing for simple use, flexibility and mobility. At its very basics, IaaS is simply a form of cloud computing that offers virtualized resources, well, virtually — that is, over the internet. This generally means that a provider is utilizing their own hardware to host anything from software, to servers, to storage, and lending it out to users. Your business pays a metered subscription, which could be anything from per-user, to per-minute, per-hour, or per-gigabyte. The benefits here are that everything is agile and flexible, and can be scaled up or down on demand, with costs being closely related to specific usage. IaaS deployments will generally be used when a company is looking to make a massive change to their existing network or services — they can host and test their “new” update within an IaaS provider’s network in order to prevent interrupting their existing services. So, Then What is UCaaS? Unified Communications as a Service is the biggest term most have probably become familiar with. The concept of Unified Communications isn’t entirely new by itself, but UCaaS is all about the new delivery method for these services. In relation to our previous discussed terms, UCaaS would fall under SaaS — your business gains access to software and tools to use, like calling services, messaging services, and soft phones. But there is a bit of a more nuanced application of the term, as Unified Communications (UC) represents something a bit different. Gartner made a clear distinction in their recent UCaaS Magic Quadrant — UC and UCaaS combine the same factors: Voice and telephony, conferencing solutions (web, audio and video), messaging (email and unified messaging), as well as presence and instant team messaging and desktop or lightweight web clients. However, the major difference here is in the delivery method of these services. UC platforms are most likely on-premise, hardware deployments. This means a business brings in all the necessary hardware to run their own service, such as data centers and server racks. 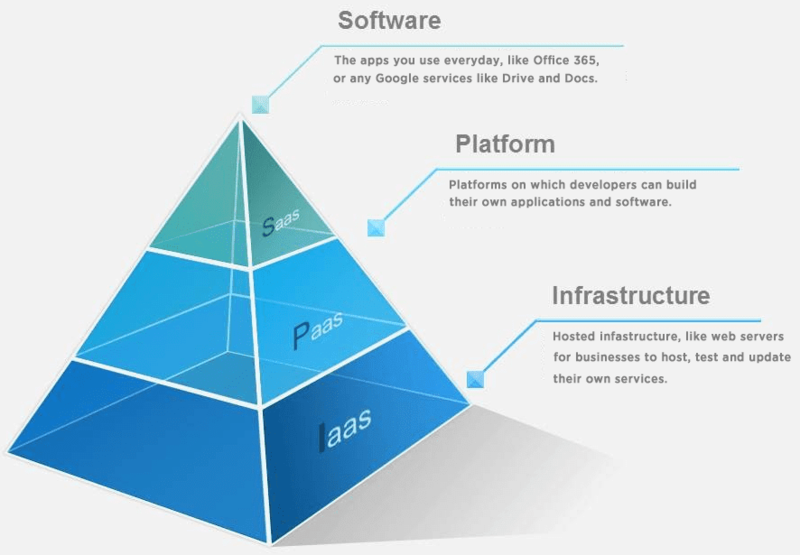 But UCaaS fits under the umbrella of SaaS since the software and services are hosted by the provider. Examples of UCaaS Providers would be like Nextiva and any similar alternatives, your business subscribes to their services, pays per-user-per-month, gains an entire platform of communications including phone numbers, apps for texting, and usually a lot more like online faxing. Shared infrastructure like data centers and server racks. All of the provider’s subscribers are utilizing the service’s hardware, as opposed to independent, on-premise setups. Overall, the easiest way to differentiate UC and UCaaS is that “as a service” generally means hosted providers, utilizing the cloud. Now, an Enterprise can create their own UC-hybrid solution where they disperse on-premise services to multiple locations, but this would still fall under the umbrella of UC, as they have built their own platform in-house, and run and maintain their own data centers. But when it comes to UCaaS, since its all hosted, your business doesn’t need any servers or data centers, just some login information, a client to log in to, and maybe some phones to power. So similar to UCaaS, but also a bit different is CPaaS, which stands for Communications Platform as a Service. “As a service” carries over from UCaaS, meaning that your business will subscribe to this service and generally pay a monthly charge for utilizing the platform. This also means that the service is cloud based and hosted, so subscribers are utilizing the provider’s data centers, servers and other related hardware to make the entire thing work. But, while UCaaS is bringing in an entire communications platform for your team to use internally, and sometimes externally, CPaaS is what allows your business to develop their own communications platform, specifically real-time communications. Some examples of real-time communications would be services like Skype, Apple’s FaceTime or iMessage, or even something like Facebook Messenger. If your business wants to build their very own communication platform, but does not have the capital, or even space, to build and host their own data centers and server racks, then CPaaS would be the way to go. The same shared infrastructure like data centers and server racks, but also goes a bit beyond this since we’re hosting more than communication services. Complete and total development “framework,” like Software Development Kits (SDKs) to build your own applications on top of this service. Your business can utilize the foundation the provider has build, within specific software tools, source codes, and APIs to create an entirely new service. Some providers even offer pre-built applications and APIs to help integrate one platform into another. If your business has a mobile app, and wants to add in a webchat, existing APIs can make this happen much quicker than building from the ground up. 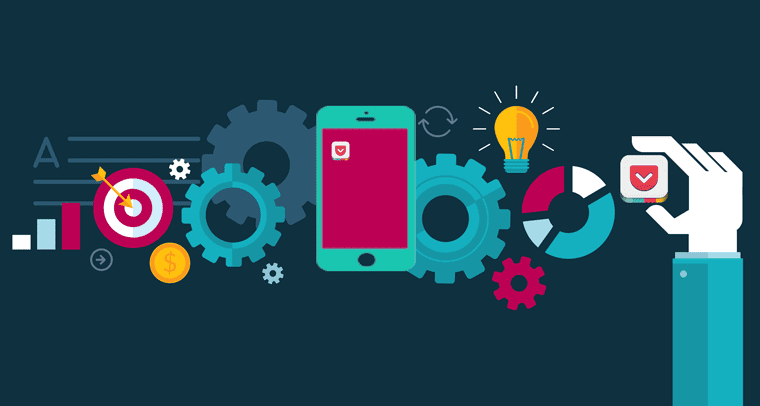 A company like Twilio is a perfect example of a CPaaS provider. Twilio has their own network, which allows a business to construct its own solutions. This could range from simple two-factor authentication emails and text messages, all the way up to complete SIP Trunking services. We’ve also compared Twilio and their biggest competitor Nexmo, if you want to take a closer look at what CPaaS really looks like. It would be imperative for any business to understand the differences in services in order to best reach their end goal. 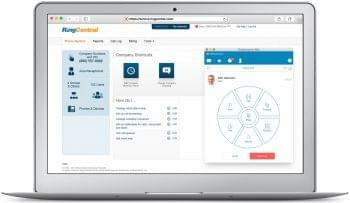 If your business is simply looking for tools to help get the job done and boost collaboration, then SaaS models like UCaaS are what you’re looking for, and PaaS models like CPaaS won’t entirely be necessary. However, if your business is a service provider themselves, then IaaS and PaaS might be the way to go when it comes to time, and cost savings. Understanding the difference between these different services will allow your business to navigate this tricky minefield of confusing marketing, and focus in on exactly what the organization needs.